Character design vector graphics pack with cute cartoon images of various animals. 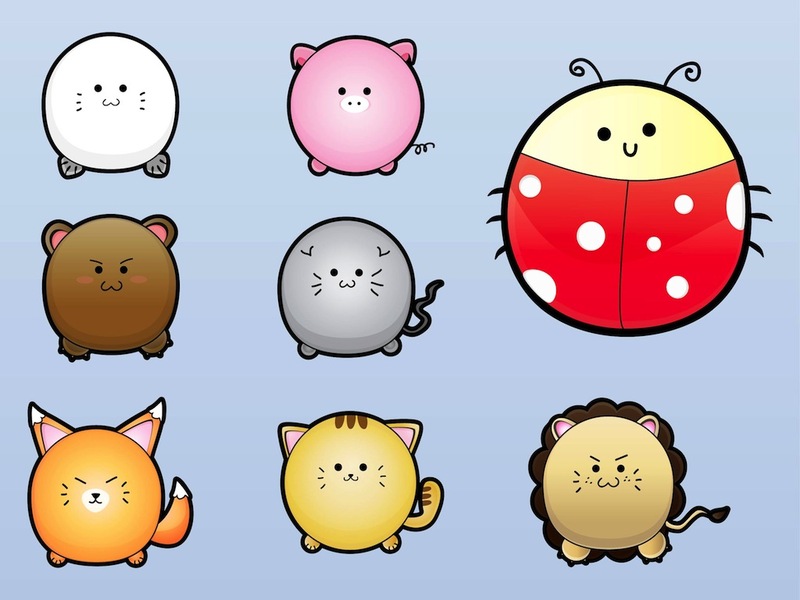 Seal, piglet, bear, kitten, red panda, tiger, lion and ladybird with cute faces and smiles. Perfect mascots for any company. Free vector graphics for all animals, game characters, cartoons, comic books and T-shirt prints projects. Tags: Bear, Cartoon, Funny, Happy, Kawaii, Lion, Mascots, Panda, Sweet.